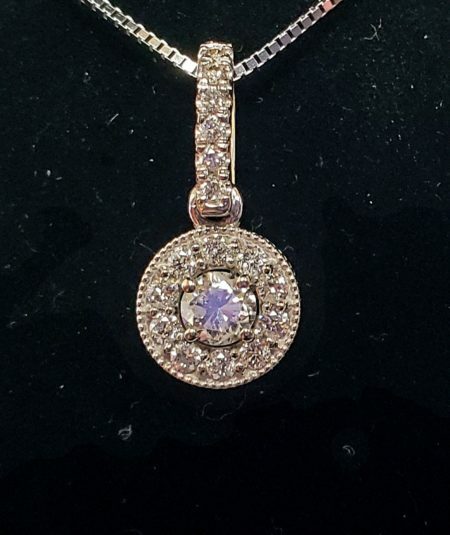 Fashion in 14kt white gold and has 17 round brilliant cut diamond set in a halo design. 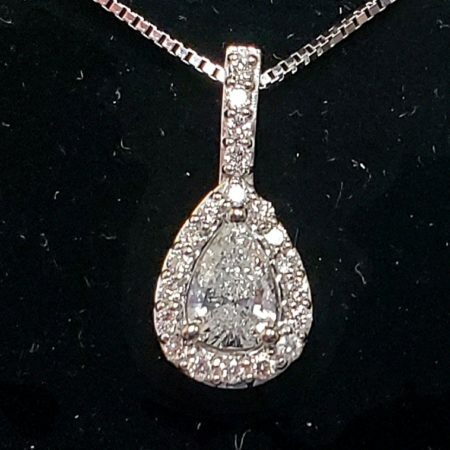 Set in the center of the halo is one round brilliant cut diamond with the carat weight of .26ct. 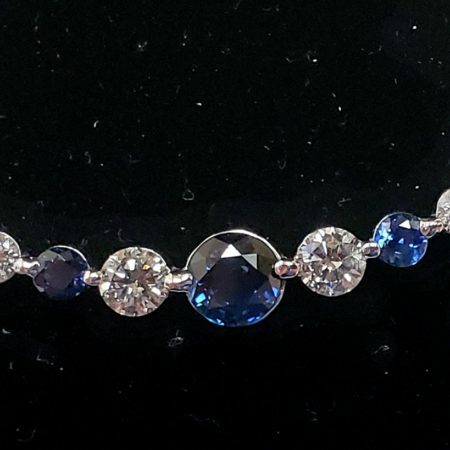 This diamond is GH in color and SI3 in clarity. 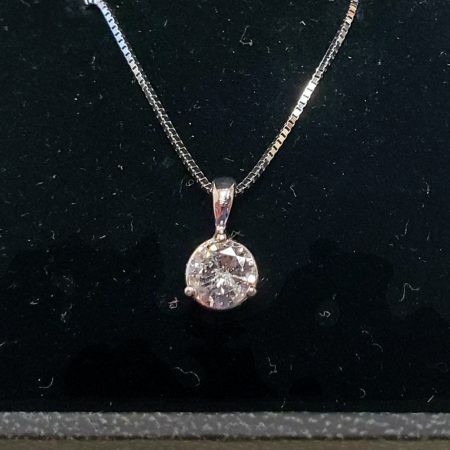 The pendant has the total carat weight of .50ct. 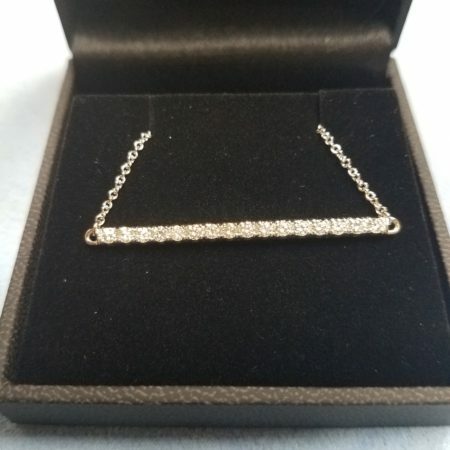 The chain is a box style chain fashioned in 14kt gold. $2,900.00 $1,499.00 Does not include tax Sale!